DC Logistics (DCL) is a family owned and operated company, that was formed in 2003 providing 3PL storage and distribution service specializing in overseas containers and trans-loader for the Burlington Northern Santa Fe and Union Pacific Railroads. They came to us looking to redesign and redevelop their existing website, which was old and dated. 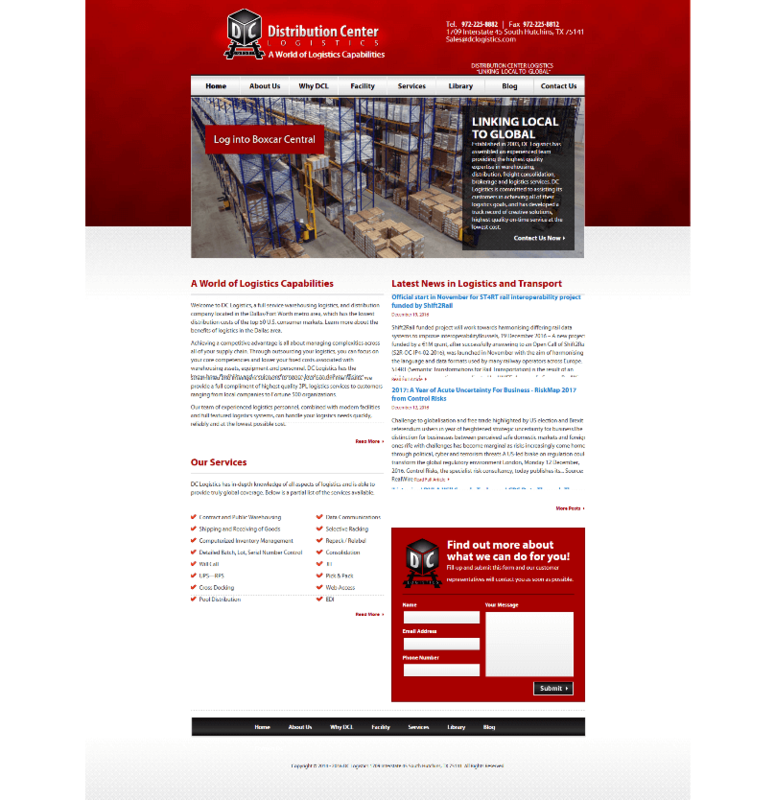 We created a custom design concept for DC Logistics, then built the website within the WordPress Content Management System to allow for easy editing, additions and modifications to the website. We also incorporated Responsive Web Design to insure that the website displays correctly on any device and in any browser, then optimized the website to load quickly and rank well in Search Engines. We also developed and incorporated a Client Portal on the website to interface with the Boxcar Central Logistics Data Integration and Visibility Software.